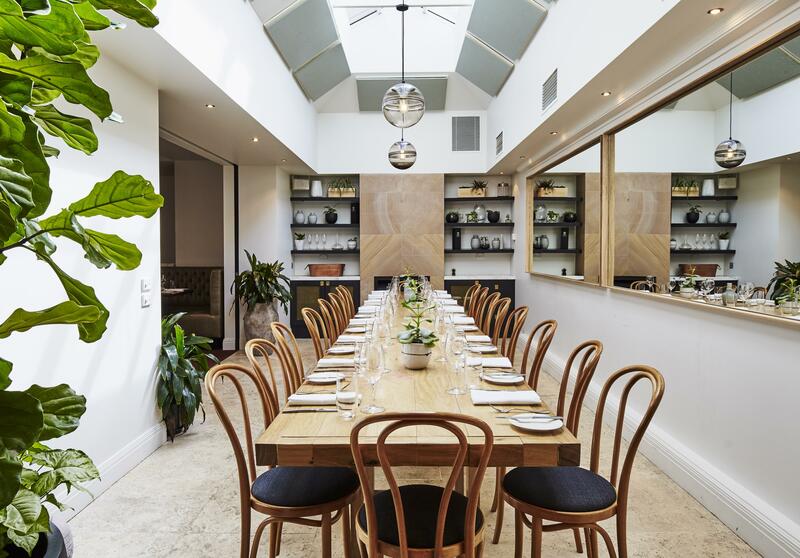 Whether you are looking for a private room for a special event, a semi-private space for a casual catch up, or wish to book out the entire dining space, we will make your event one to remember. With built-in wine cellars and marbled walls, our Wine Room is a unique and impressive space for your next event. Ideally located behind the bar, this semi-private space is cosy, secluded and perfect for smaller group events. A superb location for corporate and social events with beautiful features throughout the space including banquette seating, a fireplace and stained glass windows. Book out the entire space for your next function.